Could the 'Westminster Bubble' be detrimental to British politics? 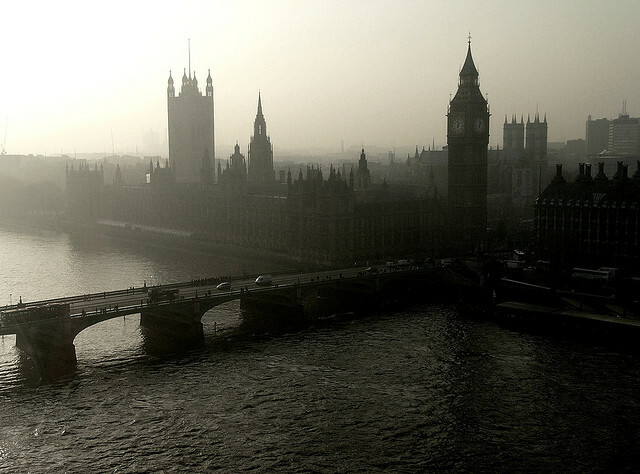 It’s often argued that politicians are disconnected from society because they spend most of their time at Westminster. But is the ‘Westminster Bubble’, or the ‘Westminster village’ as it is sometimes referred to, merely a case of politicians occasionally falling out of touch with voter concerns? Or could it actually be damaging to British politics and society as whole? Professors Wyn Grant and Chris Warhurst offer their perspectives. “The ‘Westminster Bubble’ refers to the idea that there is a hothouse atmosphere around parliament and government which leads to a focus on issues that may matter to the people there, particularly the reputations of individual politicians, but matter much less to the general public. The media is seen very much as part of this bubble as its news agenda to some extent reflects the issues preoccupying MPs and ministers. A more formal way of putting this is to refer to the idea of a ‘political class’. This is an idea that dates back to the nineteenth century but, in its modern form, refers to the idea that it is possible to have a lifelong career in politics. An aspirant politician may start as an aide to a MP; perhaps have a spell in a think-tank friendly to their party, then move on to become a special adviser (‘SPAD’) before finding a seat in the Commons. Their career might end in the House of Lords. Such a person would be insulated from the challenges that those outside politics face. However, there are limits to how far one should push this notion of a bubble. The bubble can get pricked pretty quickly by an upsurge of popular discontent on a particular issue. The growth of social media allows such concerns to gather traction and momentum much more quickly, which inevitably leads to them drawing the interest of the conventional media. Professionalisation of politics is not necessarily a bad thing. In the past, many MPs treated politics as a part-time occupation, for example combining it with a legal career. That has not entirely disappeared, but MPs today are expected to spend more time in their constituencies. At their surgeries they hear about the issues that are concerning their electors. Sometimes there are artificial attempts to make politicians appear more cut off than they actually are. Asking how much a loaf of bread costs is not a meaningful question given the range of choice and prices available in the shops. Even the cost of milk varies from shop to shop and the price is much higher if you have it delivered. “It is often said that politicians are more disliked by the public than estate agents. Some of the criticism is justified: there is a sense of entitlement amongst politicians and a disconnect between them and the public as a result of Westminster careerism. Academics have another criticism: politicians don’t adopt the findings of their latest research as policy. This criticism is unfair, borne out of academic naivety about the policy-making process. Politicians, especially those in the devolved administrations of Scotland, Wales and Northern Ireland, are keen for ideas that help make a difference. The problem is that too many academics make it hard for politicians to adopt or even hear their ideas. Part of the problem is that political and academic cycles are out of synch. Politicians work to electoral cycles. That cycle is a maximum of five but is often four years in the UK and can be even shorter elsewhere – just three years in Australia for example. Politicians need quick hit policies in order to make a difference within this cycle. Academic research cycles are much longer and tend not to overlap the electoral cycle. From idea to research grant application acceptance to findings’ publication in a journal or book can take five or more years in academia. In the social sciences it can then take another five-to-ten years for a good idea to gain traction within academia, let alone tip over into political consciousness. As a consequence, the way academics work, and the ideas that work generates, are difficult to sell to politicians. That selling process is then not helped by the fact that academics and politicians speak different languages. ‘Keep it simple and no more than four pages long,’ I was told by a senior civil servant when I first started writing reports for government, ‘The minister has to read it over a short car journey. Any longer and it won’t be read.’ Meanwhile, back on campus my colleagues have long arguments about theoretical full stops and fret about their ideas being dumbed down. Some academics even delight in writing dense, opaque texts, as if manufacturing complexity equates to intelligence. The upshot is that when politicians do listen to what academics say, they often don’t hear what is being said. Academics need to learn to speak in tongues if we want to help politicians grasp what we are saying and why it is important. We need to speak one language with our colleagues and another with politicians. There are some academics who can respond to political timescales and can communicate effectively with politicians but who choose not to do so. Instead they carp from the sidelines. To do anything else would be ‘to get into bed with the enemy,’ one senior academic explained to me when I was much younger. She’d conveniently forgotten that the enemy paid her wages through the block grant and that universities have a mission of public service (however defined). What we do must have impact beyond the ten downloads of our articles (five of which are students directed to do so by our course reading lists). It is vitally important that academics maintain a healthy degree of scepticism but it is also important that we engage with public life, and that often means public policy. Learning to be a ‘critical friend’ within the policy process is therefore important; a friend not frightened of pointing out weaknesses in current policy but then able to offer positive alternatives based on our expertise and research. Finally, and to return to my opening point, academics need to recognise that politicians are accountable for their work in a way that academics aren’t – directly to the public and at regular intervals. Too often academics want to make policy but without that accountability – ‘my research says we should do such and such’. However if that idea is implemented as policy but doesn’t work, it’s the politicians who get the blame, not the academic. Frustrating as it can be at times, academics have to recognise their place within the policy process. At best academics should aim to inform policy debate. If we want the right to make policy, we should stand for election – as sociologists Frank Field and Des McNulty have done. Leaving academia but taking their expertise and interests with them, both have had opportunity to make policy by becoming ministers in UK and Scottish Governments respectively. To make their life easier, politicians need academics to have what I call ‘KIS’ – the knowledge, inclination and skills to be able to work with, not against, the policy-making process. Academics have to have demonstrable subject expertise, they have to want to engage the policy-making process and they have to possess the communication skills to be able to do so. Whether we like them or not, a politician’s life can be tough. We can help to make it easier by being able and willing to engage with them." Professor Wyn Grant is a graduate of the universities of Leicester, Strathclyde and Exeter. He joined Politics and International Studies at University of Warwick (PAIS) in 1971 and was chair of department from 1990 to 1997. He has worked closely on research projects with colleagues in the Department of Life Sciences and teaches there and at the Warwick Crop Centre, Wellesbourne. In 2010 he was presented with the Diamond Jubilee Lifetime Achievement award of the Political Studies Association of the UK at their Awards Ceremony. He was elected an Academician of the Academy of Social Sciences in 2011. Professor Chris Warhurst Professor Chris Warhurst is Director of the Warwick Institute for Employment Research (IER) and is an International Expert Adviser to the OECD. Chris is also an Associate Research Fellow of SKOPE at the Universities of Oxford and Cardiff, and co-editor of Palgrave’s Critical Perspectives on Work and Employment book series associated with the Annual International Labour Process Conference. He was previously Professor of Work and Organisational Studies at the Sydney University Business School, Director of the Scottish Centre for Employment Research in Glasgow and co-editor of the British Sociological Association journal; Work, Employment and Society.